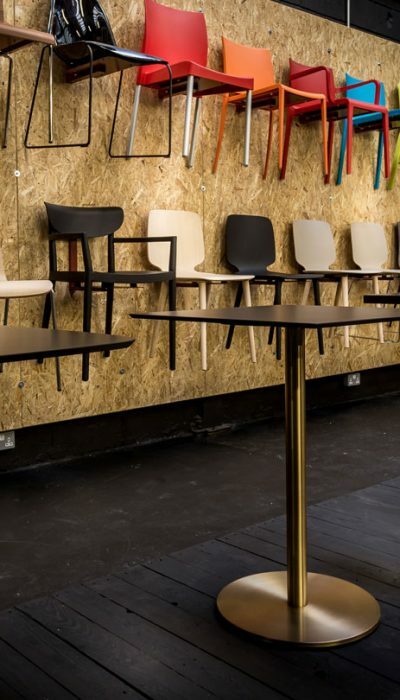 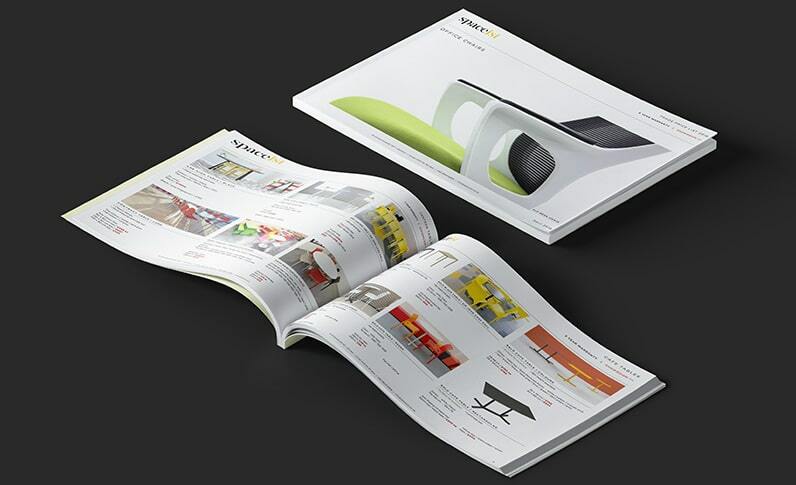 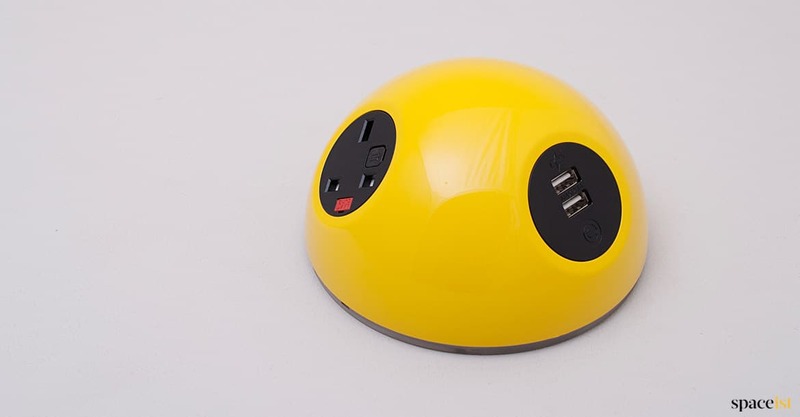 Categories: Plug & USB sockets | desk, Plug & USB sockets | meeting table. 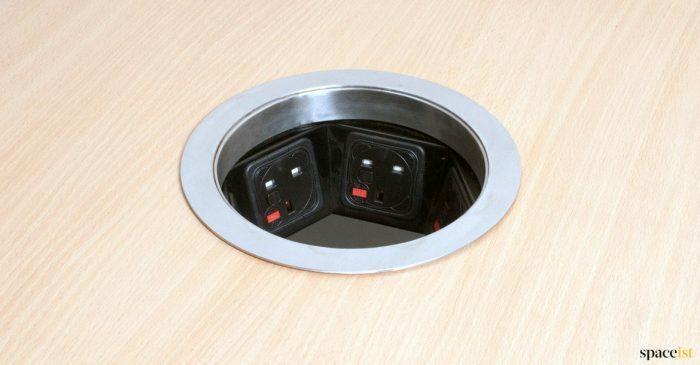 PLUTO is easily accessible plug socket and USB charging point in office, breakout and meeting room areas. 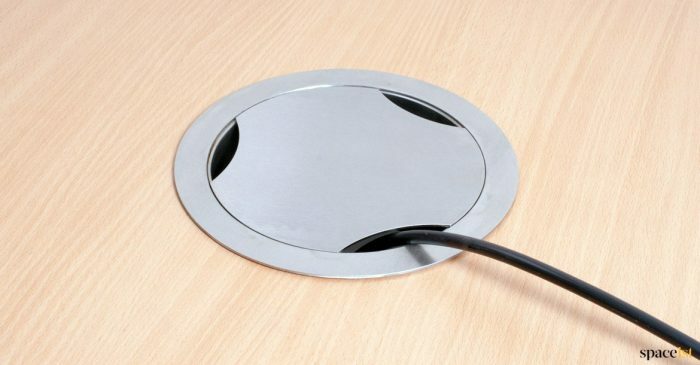 Pluto can be securely clamped to a standard 80mm desk grommet hole, screwed to desk or meeting table top or supplied with side entry power cable for free standing use. 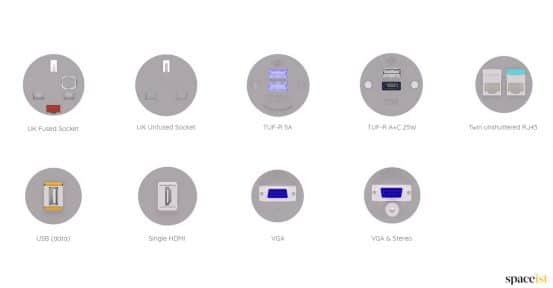 Choose from fused + un-fused UK plug socket, USB charger, USB data, Ethernet RJ45, HDMI, VGA and VGA stereo. 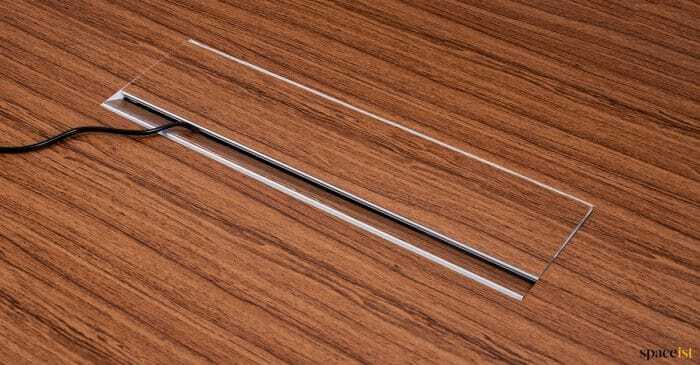 Stain is the standard finish with the option of glossy. 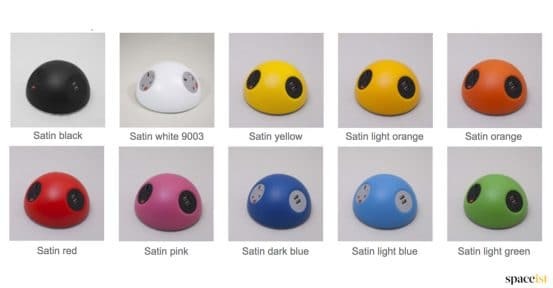 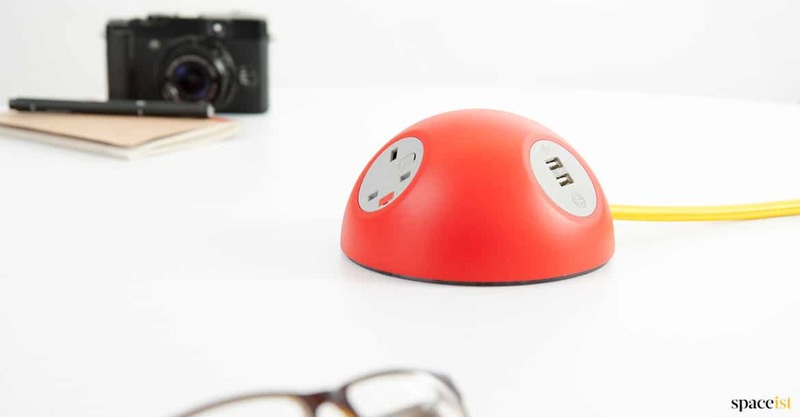 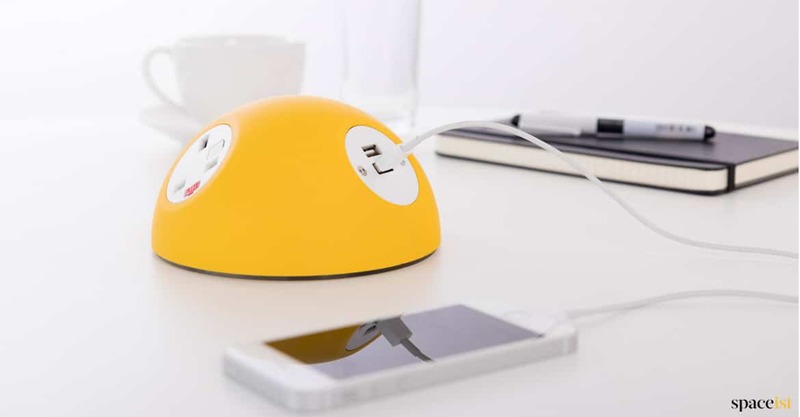 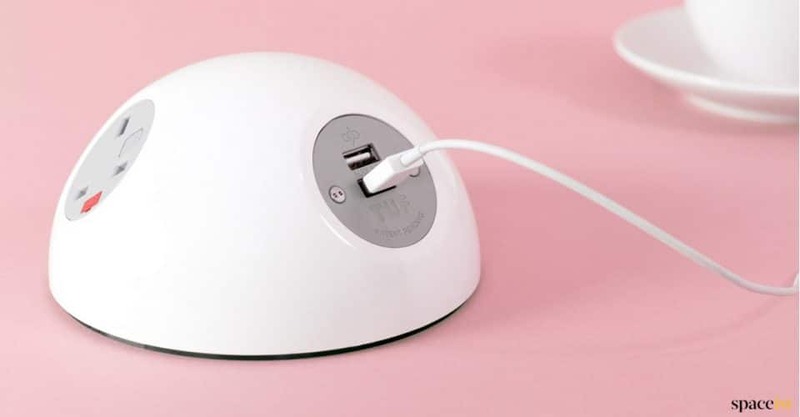 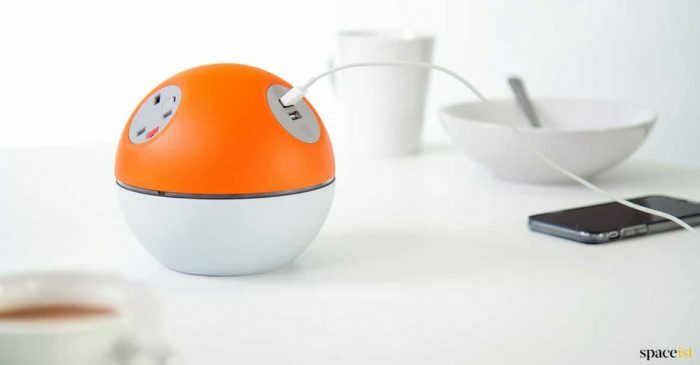 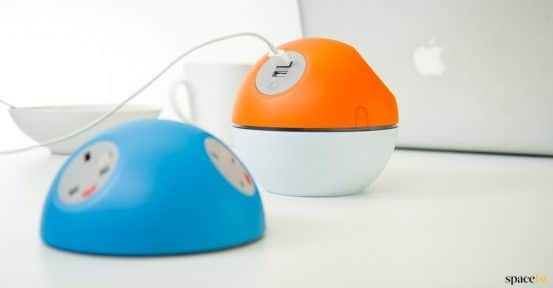 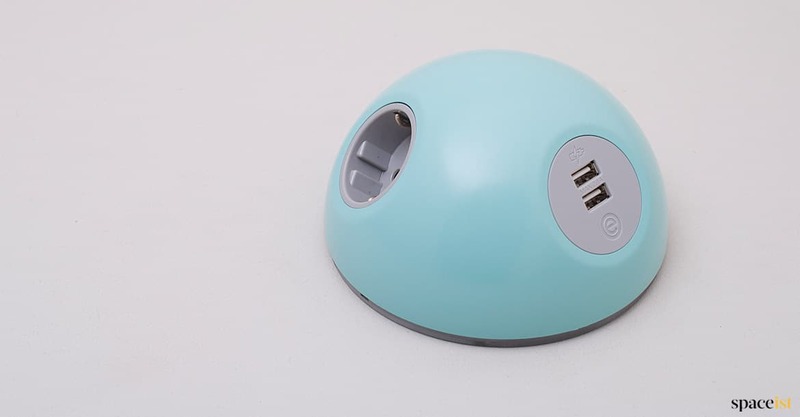 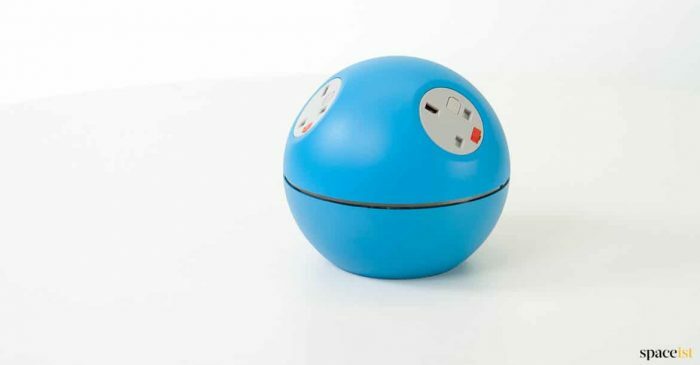 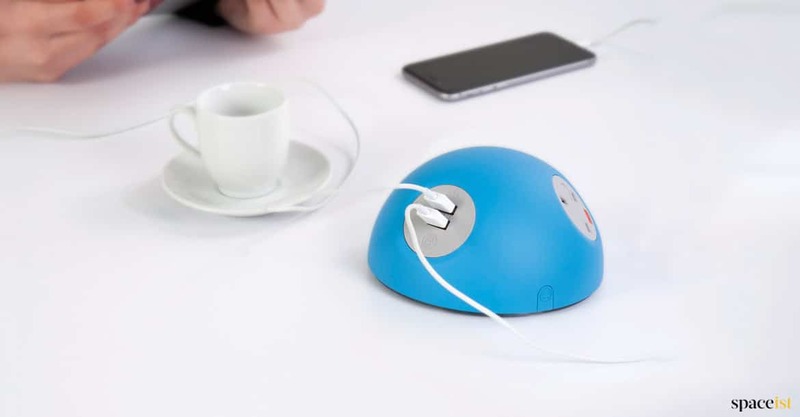 Ball shaped UK plug & USB charging point which is easily fixed to the desk or meeting table top with a tools free locking nut. Large round in-desk socket unit with 6 sockets points. Socket options include UK plug, USB charger, USB data, Ethernet RJ45, HDMI, VGA or VGA stereo. 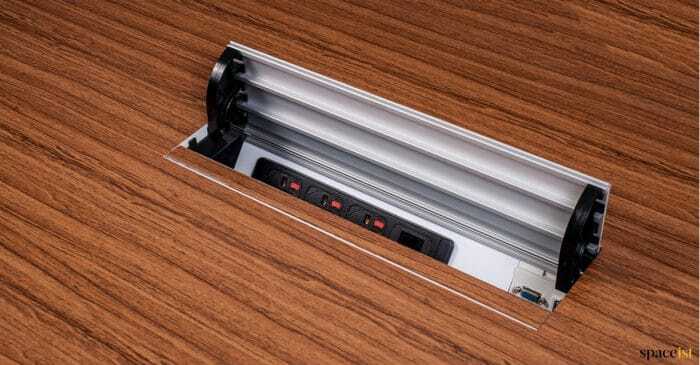 Axxess plug unit with walnut inlay to match the desk top colour. 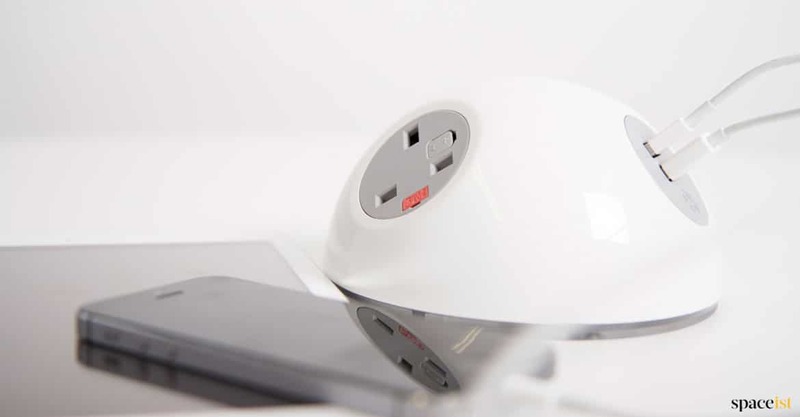 This plug point is modular so any type of socket can be added including USB, Video and standard plug socket.